PCS stress is a unique kind of stress. It’s not stress like missing an exam or when a loved one is seriously ill, but a type that only military families understand and appreciate. Of course, moving is tough for anyone, but military moves have little nuances that can really drive you crazy. Anyone ever have a moving day changed last minute because of the ambiguous concept of "orders"? Yep, that one is a doozy. But, that circumstance is way beyond our control, which is the main reason we become stressed out--lack of control. What we CAN control is the preparation work that goes into the move, and there’s a lot of prep work involved. 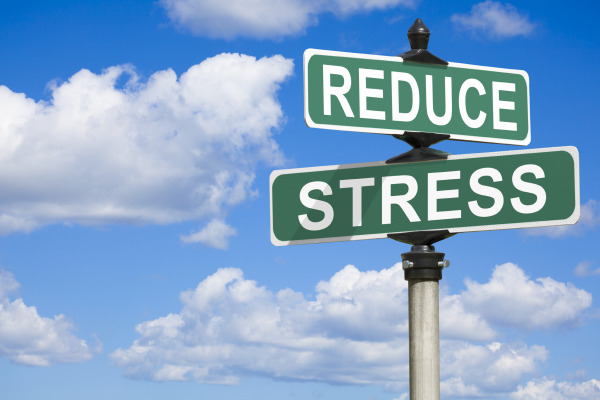 Try these ideas to help mitigate any stress level well before moving day arrives. The next house, neighborhood, and school are probably some of the top unknowns that worry us the most. There are so many resources today to guide the research process that, if done far enough in advance, will just about guarantee a smooth transition. After checking MilitaryByOwner, learn even more about your destination through Military Town Advisor and MILLIE. Buy a calendar and dedicate it to your move only. Use one big enough to see tasks written and later cross them off. Even small accomplishments give back the feeling of power and control. As soon as you’re relatively sure the moving trucks are coming, start plotting, two or three months out even. Little things like making hotel and airline reservations or returning library books equals progress. As moving day draws closer, bigger events should be scheduled like yard sales and finalizing the last day of class with the school administration. MilitaryByOwner has several PCS resources, including a PCS checklist to transfer right over to your own calendar. Being prepared eases the stress that frequently is associated with a PCS move. Create a New Duty Station Transition Kit that has the essentials to make life a little bit easier. Learn the climate, plant, and animal life at your new duty station, specifically making the acclimation to the physical environment. It’s hard to move alone, so try not to do it! Ask family, friends, and neighbors to lend a hand. Not to clean bathrooms, but to watch a child for a few hours or pick up food for the movers so you don’t have to leave the house while they’re packing. Scheduling the packing and moving days during school hours might be helpful, too. One way to help with stress is the idea of tapping into a loving community, even virtually connecting with other spouses dealing with deployment or moving to a mutual location, or checking out podcasts just for military spouses like The Military Spouse Show hosted by Dr. Krista Wells and Wendy Poling. The worst thing possible for stress levels is procrastination. Moving is all in the details, and there are so many to tackle. A last-minute, easy cleanup is really the only thing that should be done in the house on the final day of the lease. Plan for one or two days simply enjoying visits to a favorite pizza place or friend’s home. More than likely, an unknown task or issue will need to be handled as well. A free day at the end will help solve the problem. Krista Wells recommends: Fighting before a deployment or a move is normal, but try and learn to separate the issues from the intense emotions. Journaling is a great way to vent without projecting the stress onto our spouse. Write in code if you don't want anyone to know what you are venting about. If your middle child is bugging you, write that you are frustrated with the carpet color. A lot of spouses don't journal because they feel like it will get into the wrong hands, but writing is so therapeutic. Planning some "me time" daily (even just a kid-free walk/bath) is a great strategy on lowering stress. No doubt, a PCS is challenging and stressful, even for the most experienced crowd. Using your time wisely to prepare as much as possible is the best bet for getting everything done in time before the moving truck drives away. 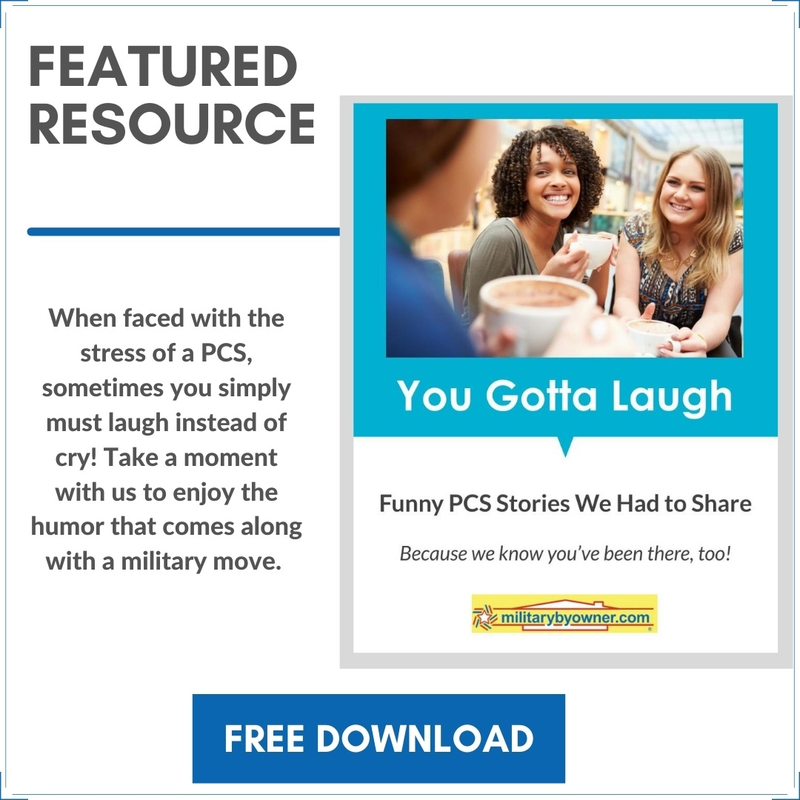 MilitaryByOwner offers many blog posts to help you sail through a PCS. Check out what's new!